Ahem, now that we’ve gotten that out of the way, as I tried something new this week, I wanted to upload it. 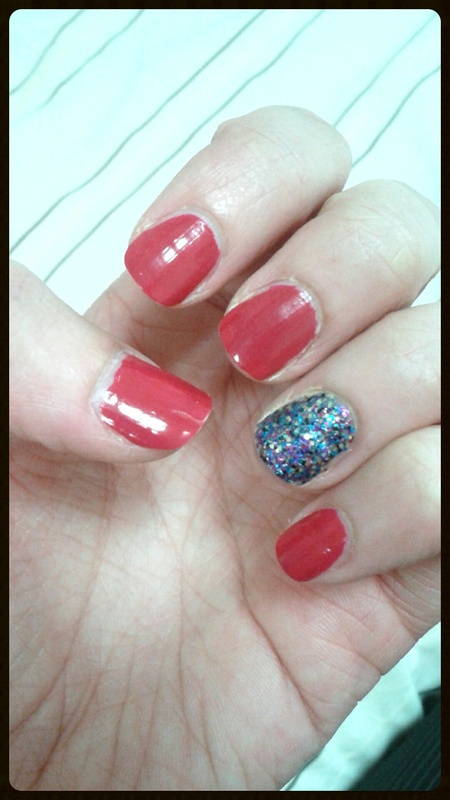 This is my first attempt at the “accent nail” trend. It’s been popular here in Japan for a while now. 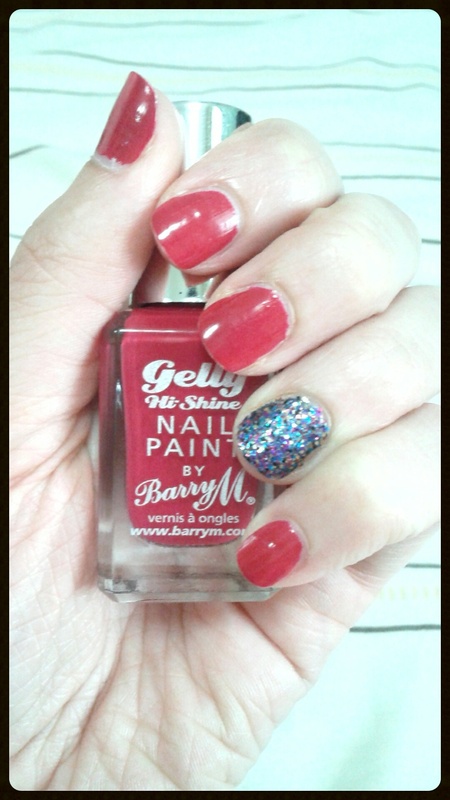 I used Barry M’s Gelly Hi-Shine Nail Paint in Pomegranate as the main colour, and Barry M’s Nail Paint in Amethyst Glitter for the accent. I love Barry M nail varnish anyway, but I am so in love with this Gelly Nail Paint. It’s a beautiful colour, glossy, quick drying, and opaque in one coat (either that or I put too much on in one go!). The Amethyst Glitter is lovely, opaque in two coats with a bit of coaxing and the most beautiful colour, but as with most glitter nail varnish, a royal pain to remove. Using it as an accent colour is a nice way to use it but not spend ages taking it off and making sure every particle of glitter has been removed afterwards.